It's so hard to believe another month has gone by already! My boys have been hard at work with their schooling and I am just thrilled with all the reading they've managed to do! We found a new favorite book that we read together and we've begun a new series of books on CD that so far sounds pretty promising. 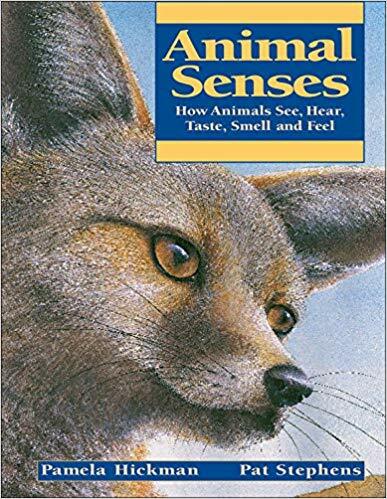 I definitely have to work just a bit harder to find books that interest ALL of my boys but I know I'm doing something right when they smile over books gifts. 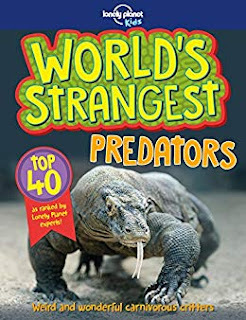 World's Strangest Predators-- We had a few non- fiction books from our library and Alec could not wait to dig in and read all about these world predators. He was so fascinated by what he was reading that he often read out loud and shared with us all. 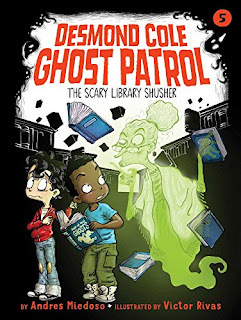 Desmond Cole Ghost Patrol: The Scary Library Shusher-- Evan was so thrilled to get two new books for Christmas. He just loves these Desmond Cole series. This book was about the ghost haunting their local library. 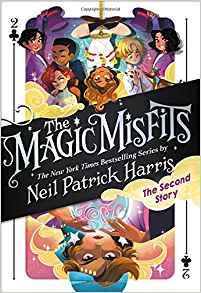 The Magic Misfits: The Second Story-- In book 2 a psychic comes to town and Leila and her friends are trying to keep themselves and their town of Mineral Wells safe. 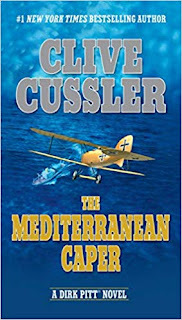 The Mediterranean Caper-- Ian has really been enjoying these Clive Cussler books and book 2 finds Dirk and his pal Al trying to figure out who is attacking the US Air Force base using an old World War I fighter plane. 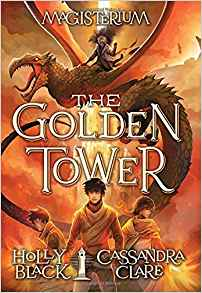 The Golden Tower-- In this final book of the Magisterium series Callum is in his final year of magic school and is not getting along with most of his friends. Struggling to feel like he belongs he still has to face his greatest challenge yet. 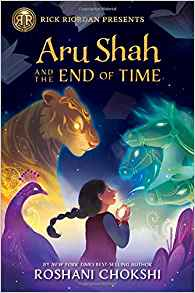 Aru Shah and the End of Time-- 12 year old Aru Shah often tells stories to fit in at school; especially when everyone is going away on vacation and she will be spending her time in the Museum of Ancient Indian Art and Culture. When her classmates show up unexpectedly she lights the lamp her classmates dare her to and something unexpected happens-- Aru awakens a demon and must save her classmates and family. 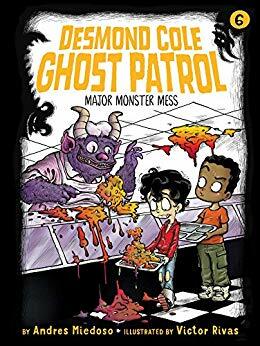 Desmond Cole Ghost Patrol: Major Monster Mess-- In this 6th book of the series Desmond and Andres work to discover what is going on with the school cafeteria. 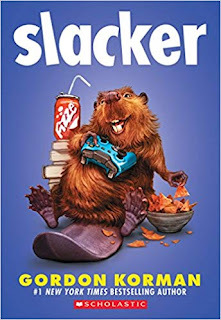 Slacker- I think I can safely say this was the favorite book of us all this month! We had the best time reading this hilarious book. Cameron Boxer wants nothing more than to sit on the couch and play video games but when he almost burns down the family home his parents tell him he must find something to do outside of the house and school. He makes up his own fake club and his plan backfires when lots of kids start joining. 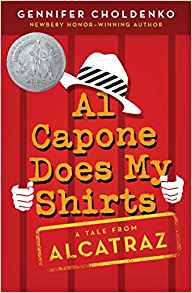 Al Capone Does My Shirts-- So far we are enjoying our book on CD but with more than a month in we've only managed to listen the first couple of chapters. Turns out we're not in the car very much at the same time anymore! This story takes place on Alcatraz Island. Matthew and his family have just moved there after his father began working in the prison. Kat Wolfe Investigates-- Kat and her mom move to the country after their home is broken into. 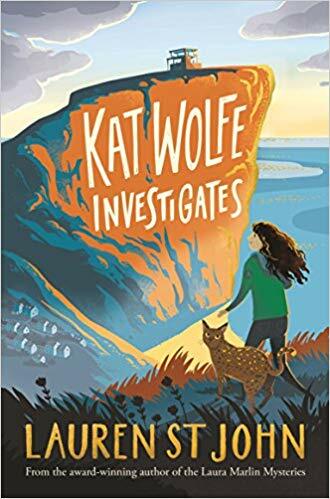 Kat starts up a pet sitting business and when one of her first pets goes missing Kat teams up with Harper Lamb to uncover the truth behind what happened. The Hotel Between-- Cam and Cass have never known their parents but Cam is convinced his dad is still alive. 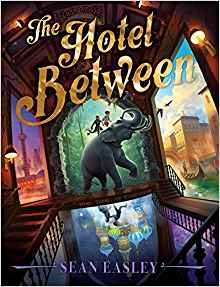 When the magical sign for the Hotel Between shows up Cam and Cass discover they can travel anywhere and that everything is possible inside the hotel. Wings of Fire Book 12: The Hive Queen--- Alec was beyond thrilled to get this book for his birthday. He opened it and began reading it in the middle of his party! Growing up in the hives, Cricket has always felt different, often hiding so it's not discovered that she's immune to the queen's powers. Now her and her friends are wanted for stealing the Book of Clearsight and Cricket can't help but wonder if her and her friends are up for stopping a war. 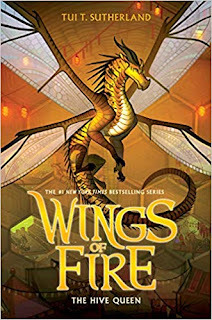 Wings of Fire book 3: The Hidden Kingdom-- Evan got the third book in the series for Christmas and is slowly making his way through the book. 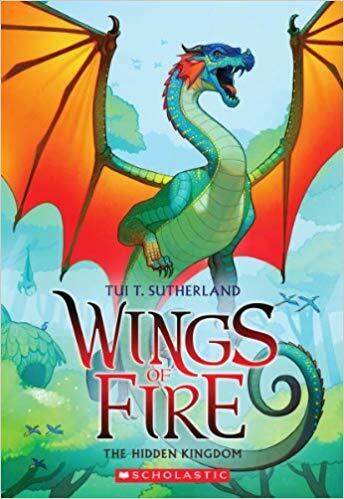 In this book Glory must work with her friends to help save the rainwings. What are some of the books your kids have been reading? Great list. 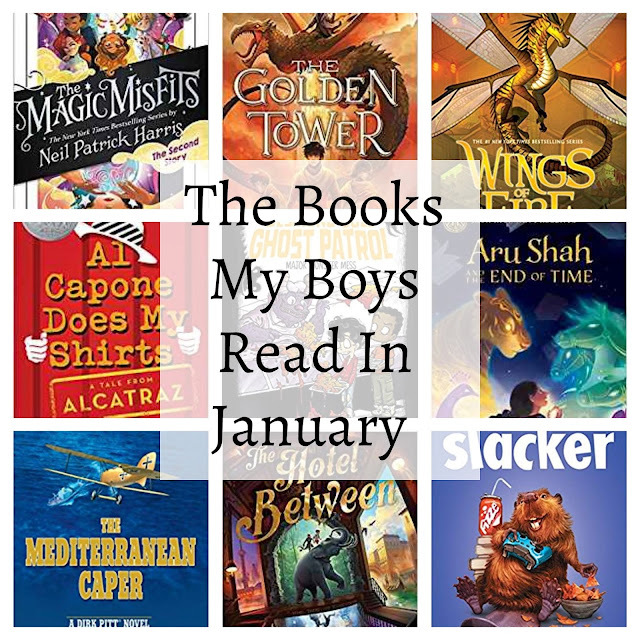 We love the Al Capone books and have listened to them all. Hope you all get more time in the car together. We are really enjoying it so far but I'm not sure we'll finish before we have to return it to the library. 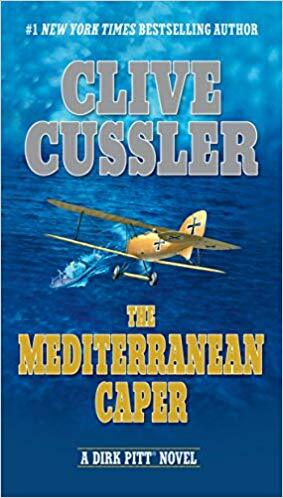 I always enjoy your book lists :) I want to read the one about Al Capone! Thanks! So far we are really enjoying it. I did have to stop it to give a mini lesson on how children with autism and other learning disabilities were treated back them and why but other than that we've had fun with it. I've heard it's a whole series of books too so hopefully we'll get to listen to them all.